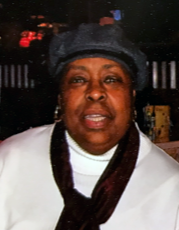 Shirley (Joyner) Warren, age 83, passed away peacefully on Friday, April 12, 2019, in Fayetteville, GA. She was born on June 2, 1935, in New York City, NY, to James and Bernice (Faison) Joyner. Shirley retired from the City of New York after 25 years of service. After retiring, she loved to work for the sick and shut-in. Shirley was known for her feisty, yet good sense of humor. When she laughed, her face would light up and you could see how she enjoyed people. She loved the song “Take me to the King”. Shirley was preceded in death by her parents and brother, James T. Joyner. She is survived by four nieces, Juliette, Janet, Diahann and Crystal Joyner, all of New York City; nephew, Mark Joyner of Bethesda, MD; cousins, Tyrone and Diane of Georgia; special friends, Diane Smith, Glenda Maddox and TaMara Williams and a host of other friends. A funeral service will be held at 1:00 p.m. on Wednesday, April 17, 2019, in the chapel of Holly Hill Funeral Home. Minister TaMara Williams to officiate. Entombment will follow in the mausoleum at Holly Hill Memorial Park. Visitation will be held one hour prior to the service, from 12:00-1:00 p.m.